The hottest segment in the Indian car market is undoubtedly the compact SUV. Renault recently updated its Duster and added an AMT to the facelift. And Hyundai launched the Creta last year Mahindra's Scorpio is another popular offering. But really, it is the Creta that the newly launched Honda BR-V must take on. Like the Creta, the BRV is available in petrol and diesel, and has an automatic option - though just in the petrol. The Creta now offers auto with both engine types. 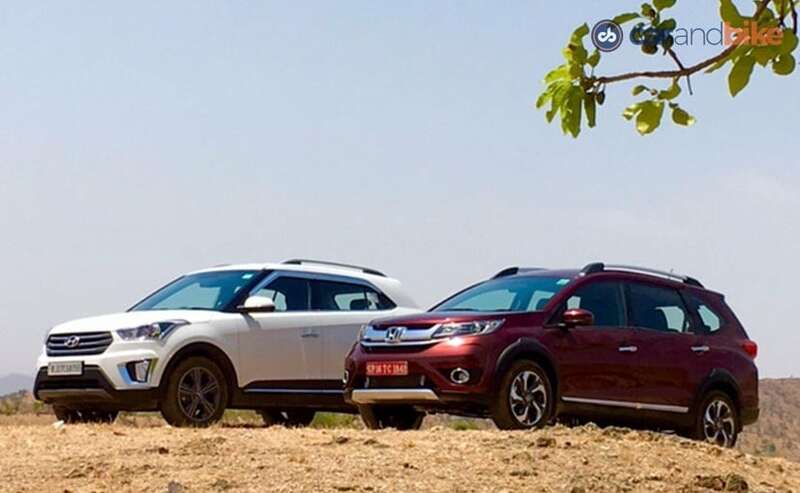 At first glance the Creta looks more like an SUV, while the BR-V looks bigger. 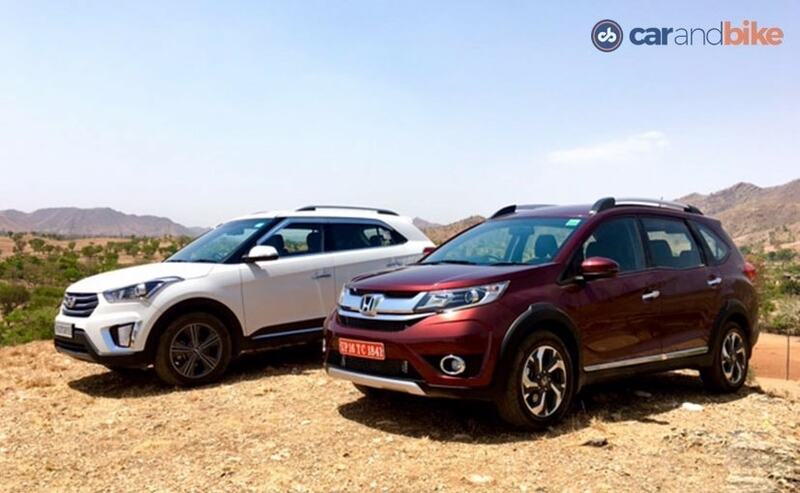 The BRV's face reminds you a little bit of the CR-V and which is a smart move from Honda. But one look at the Creta and on styling it's no contest! 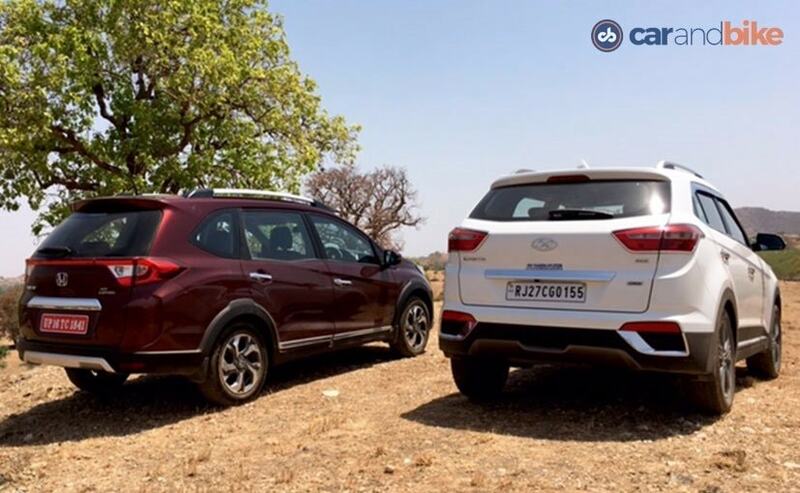 The Creta definitely is the pretty looking car, and it's got all the elements that work. People love the way it looks too, and it sports the right 'SUV' proportions. The BR-V is not SUV enough in its styling because it looks stretched - and has proportions more akin to a van. It is inside the cabin where things start looking up for the BRV though. It has a clear USP the others in the compact space don't have - space. So that long stretched shape on the outside, helps on the inside. The second row is very generous in terms of space. And then there's the third row which though not nearly as roomy, is not terribly uncomfortable either. Maybe not for very tall people - but it does the job. And the best part is when you don't need it, it folds up easily behind the second row which gives you tons of cargo space. Honda has made the seven seat configuration standard on the BR-V. There is no five seat version because, well it can go from 5 to 7 seats whenever you want. The top-spec of the BRV has keyless entry and a start/stop button as well. So does the Creta. But the Creta also has a touch screen navigation system on the top end, something that the BR-V doesn't have. The seating position and the ride height that you get in the Creta is also something that's lacking on the BR-V, though you can raise the seat up somewhat and mimic some of that SUV position. So the Creta is better specced, though the BR-V is big on space. 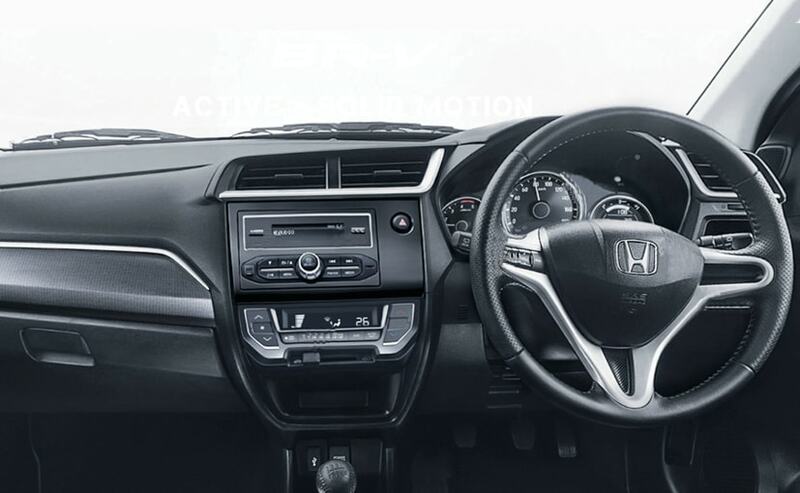 On the petrol side of things the BR-V has the refined i-VTEC motor, and the fuel efficient CVT option. When Honda decided to put a CVT instead of an automatic on the 1.5 iVTEC engine it was never going to be electric. But it performs well enough in that range where you expect a CVT to be. 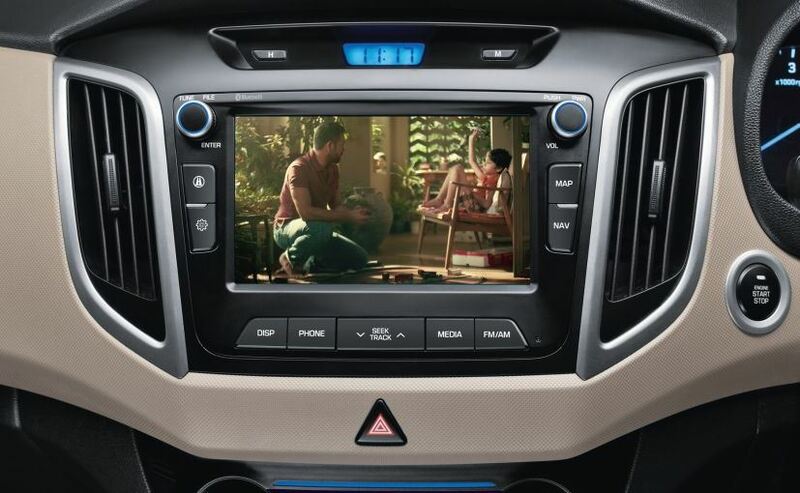 It becomes extremely pleasant and fun to drive in city traffic conditions because everything becomes more convenient. You have seen that a with a lot of Honda vehicles of late. The CVT option has started to become more and more popular. Compare that to the Creta where the automatic gearbox is a little bit cruder, and not refined and the CVT looks even better. Compare it to Duster where the AMT in not going to be as smooth and yes then the CVT starts to look more attractive then too. The Creta's petrol engine is reasonably powerful and like I said earlier; now at least offers the auto gearbox option - though only on the top-end SX trim. The more popular Creta is the diesel one though. And here, there has been an auto option from the start. But the manual is the more fun drive. The 6 speed gear box on this car has been married really well to this unit, but the engine itself is a little bit crude and it's got a lot of grunt (almost too much in a sense). That then comes across as very unrefined and I think that's the big distinct difference in character between the drivetrain on this car versus the one on the BR-V. Yes, the diesel i-DTEC on the Honda is definitely the more fun motor. But it's very noisy. Even though Honda says its worked hard at reducing NVH - it is not apparent. So now the only thing left to look at are the prices. The Creta starts at ₹ 9.15 lakh and tops off at ₹ 12.86 lakh for the petrol. On the BRV that's ₹ 8.75 lakh - ₹ 11.99 lakh. On the diesel side the Creta goes from ₹ 9.99 lakh - ₹ 14.5 lakh, and the BRV has its variants start at ₹ 9.9 lakh and the priciest VX variant is for ₹ 12.9 lakh. 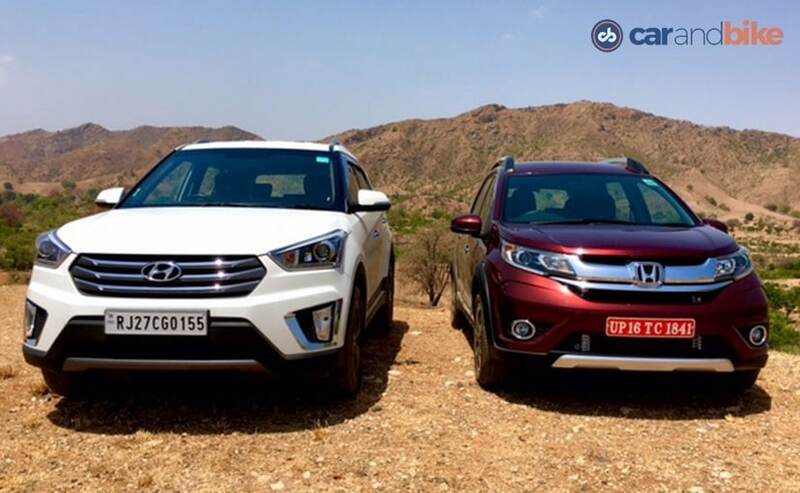 Honda has actually played aggressive and surprised many by just about undercutting the Creta! That was a surprise I have to say. But despite the prices, the lack of some of the modern equipment buyers look for and the Mobilio-like proportions go against the BR-V. I think a lot of people will still buy it for its badge, but our contest winner today is defintely the pricier but very popular Creta.